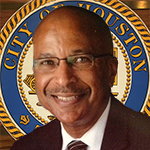 November 10, 2016 -- Mayor Sylvester Turner has selected C. J. Messiah to be the interim director of the General Services Department (GSD), effective November 12, 2016. He replaces Scott Minnix who has accepted a new position out of state. Messiah has been the deputy assistant director in charge of security management for GSD since June 2016. He currently coordinates the preparation, implementation and monitoring of the department budget, trains employees and establishes policy and procedures. He has more than 23 years of experience with the Houston Police Department and served as sergeant of the Mayor’s Protection Detail Division for 11 years. Messiah served as technical sergeant, staff sergeant and airman sergeant in the United States Air Force. He is a veteran of the U.S. Air Force and has worked as a security consultant with the Major League Baseball organization for 16 years. A search is underway for a permanent replacement for Minnix. GSD oversees maintenance, construction and security management services for more than 400 City facilities. It is their job to ensure the lights come on and the facility is clean, well-maintained and secure.